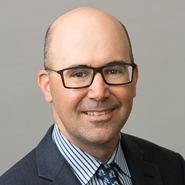 Marshall, Gerstein & Borun LLP is pleased to announce that Jeremy R. Kriegel has accepted a new role as Chair of the Firm’s Patent Prosecution practice. Managing partner Jeffrey Sharp noted, "We are excited that Jeremy is taking on this new role and feel strongly that his mechanical engineering background and extensive prosecution experience will help the Firm’s Patent Prosecution practice continue to thrive." Mr. Kriegel has been with the firm for 14 years and has significant experience preparing and prosecuting U.S. and foreign patents in a wide range of mechanical technologies. His organizational and project management skills, honed as Chair of the Docketing Committee and as an active member of the Technology Committee, will continue to serve the Firm well in this new capacity. During Mr. Kriegel's tenure on these other committees, the Firm has implemented a paperless electronic docketing and file management system that promotes efficiency and effectiveness in handling all prosecution matters. Mr. Kriegel helps lead companies' products to market by counseling on patent and trademark infringement, licensing, patent validity, right-to-make issues, and product marking. In addition, he is experienced in patent and trademark licensing, trademark litigation and prosecution matters, as well as Internet domain name disputes. Some of his most recent accolades include being selected by the Chicago Law Bulletin's Leading Lawyer Network as a "Leading Lawyer," and being praised in Chambers USA as a "key individual" at Marshall, Gerstein & Borun who "is known for his work in medical device patents. He is well-respected by his peers for his expertise in patent prosecution." Marshall, Gerstein & Borun has extensive experience in devising and executing worldwide patent strategies for its clients. Our professionals work closely with clients to understand their business objectives and align our patentability assessment, preparation, prosecution, post-grant and opinion activities to meet their needs. Our professionals direct foreign colleagues in prosecution, oppositions, appeals and cancellation proceedings to provide a seamless intellectual property strategy throughout the world.